These empanadas are simple, and delicious. A good meatless option. In a saucepan defrost your spinach. Drain any extra liquid. When it is ready, add the onion, sour cream and parmesan. Mix thoroughly. Fill the pastry sheets and seal tightly. 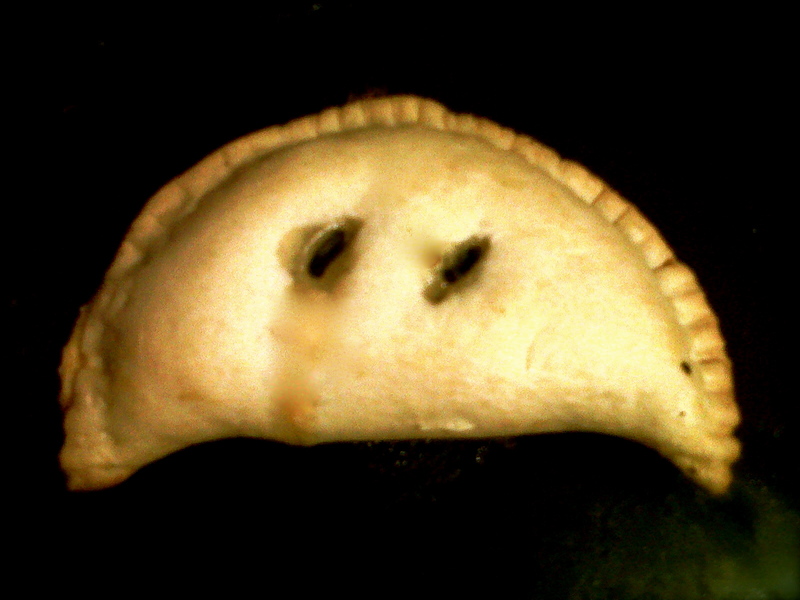 Bake in a preheated oven at 350° for 20 minutes or until the empanadas are golden brown. 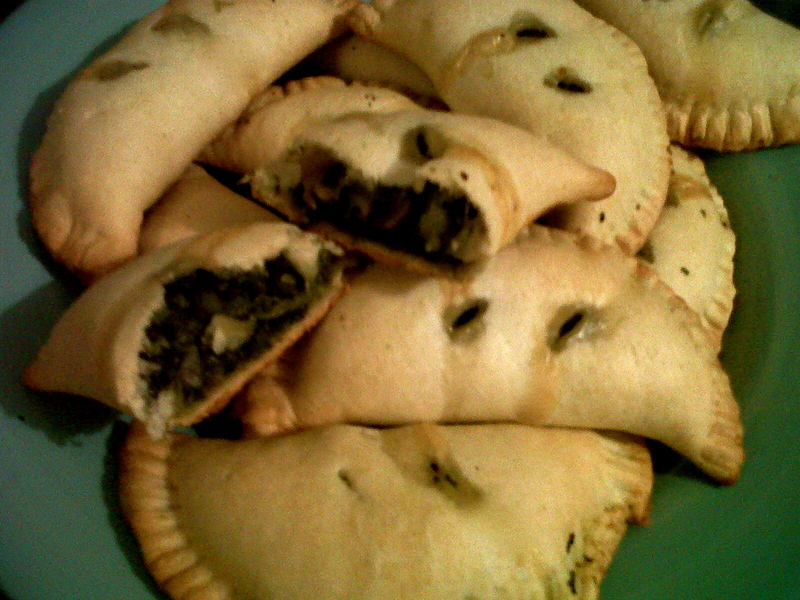 Tip – if you brush the empanadas with a beaten egg before baking and they will turn out very pretty. Yum! I think even I could make these! Then make me some, but nix the spinach and put in sausage! Where in America can I find empanada pastry sheets? you can use any frozen puff pastry or pie sheet, or you can (should) make your own! Any recipe for pie crust minus sugar. You can also substitute for whole wheat flour. I used pizza dough before and that tasted pretty good, it was just a hassle to roll out and shape and such. But I’ll try making some this weekend! Come visit and teach me how to cook, please and thank you. any idea where to find frozen spinach in BsAs? I’d like to answer the question with another question – why choose frozen when you can have fresh? Any Disco or neighborhood supermarket should have frozen spinach in their freezers, it usually comes in yellow bags.